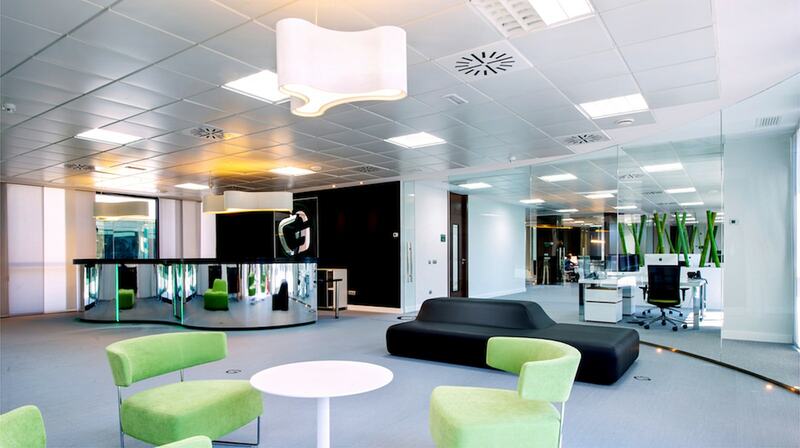 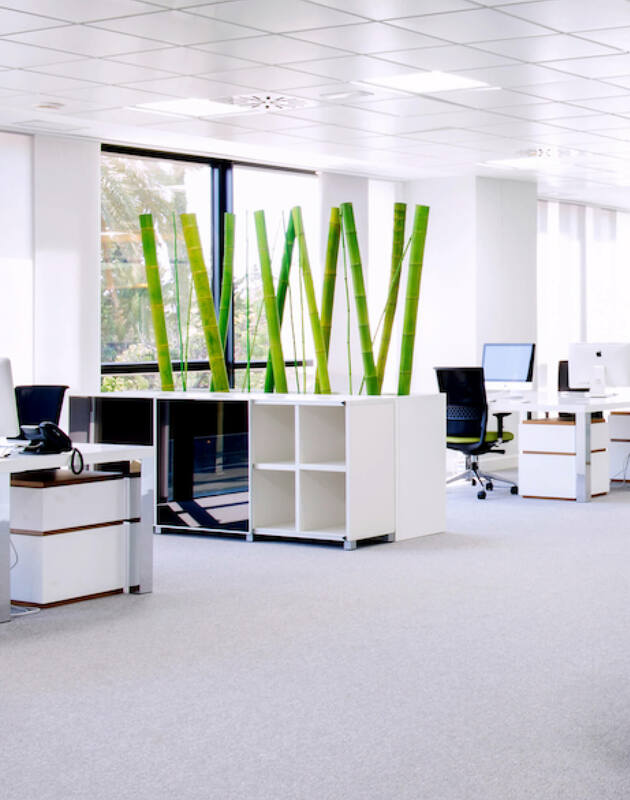 The Transformation of an empty shell into an inspirational yet functional and productive working environment for Gravity Global investments on the Golden Mile in Marbella. 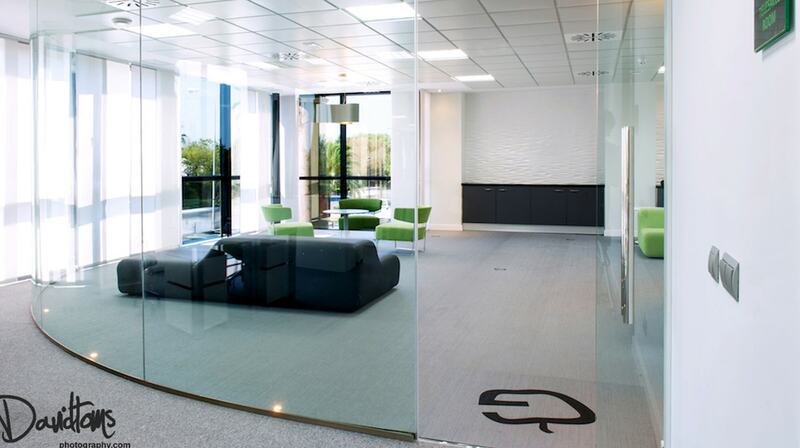 The aim of this project was to optimise the use of space, light, materials and services. 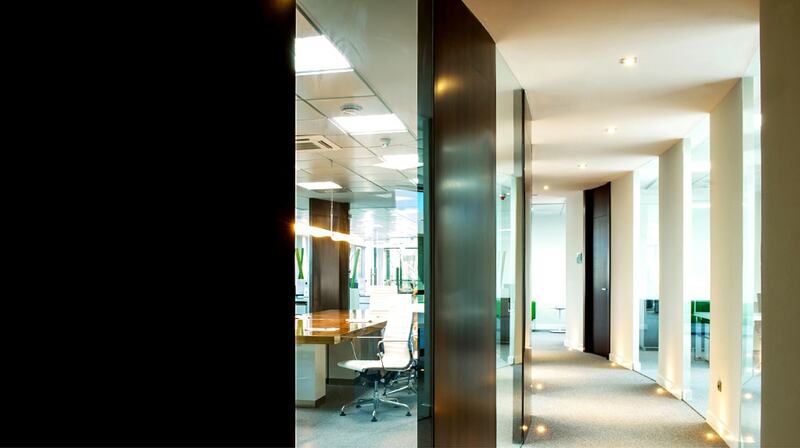 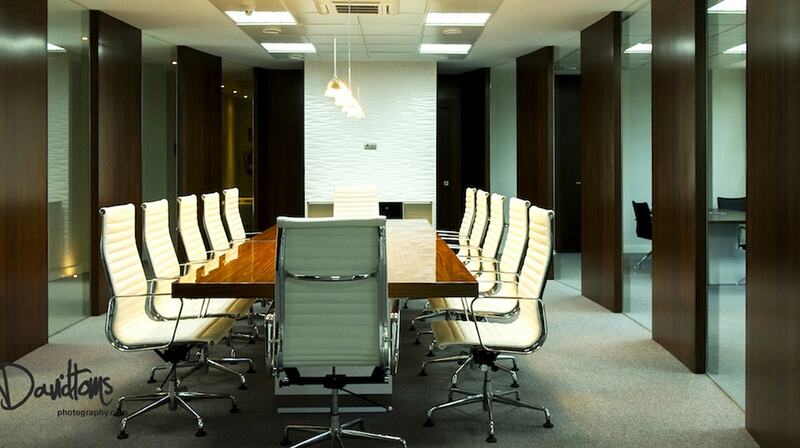 The aim of the design was to communicate trust, quality and a modern edge to investors. 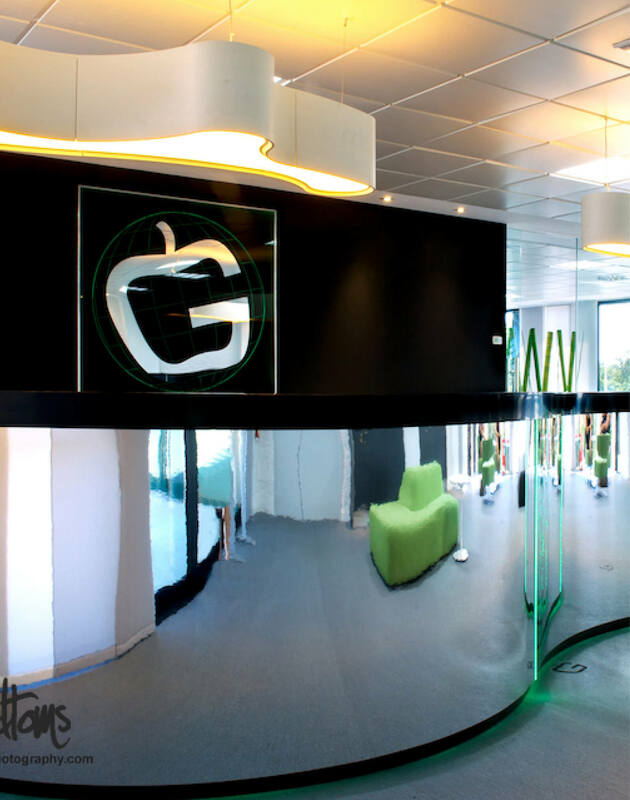 The logo plays with the legendary story of a falling apple, which caused Sir Isaac Newton to develop his Law of Gravity. 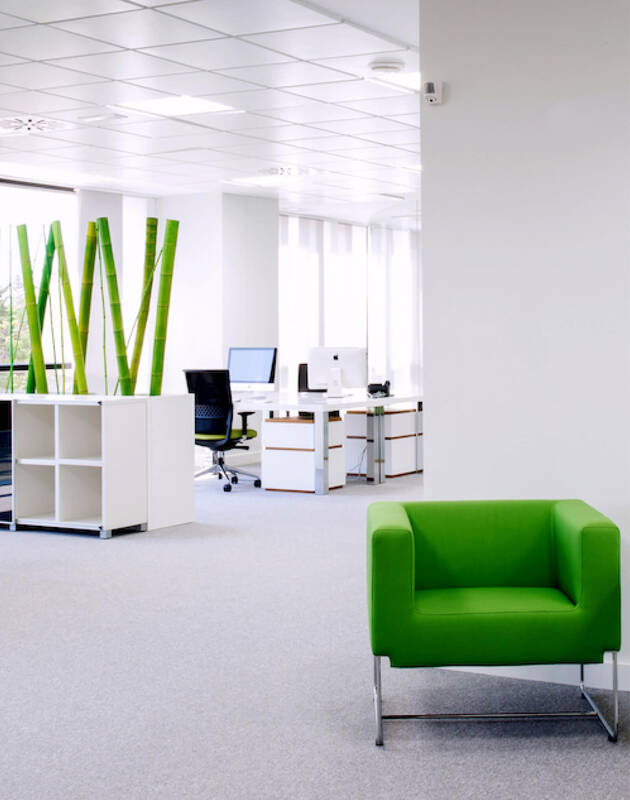 Apple green is used in the bespoke furnishings to reinforce this idea, forest green bamboo sticks allow for separation of ambiences and inclusion of natural elements. 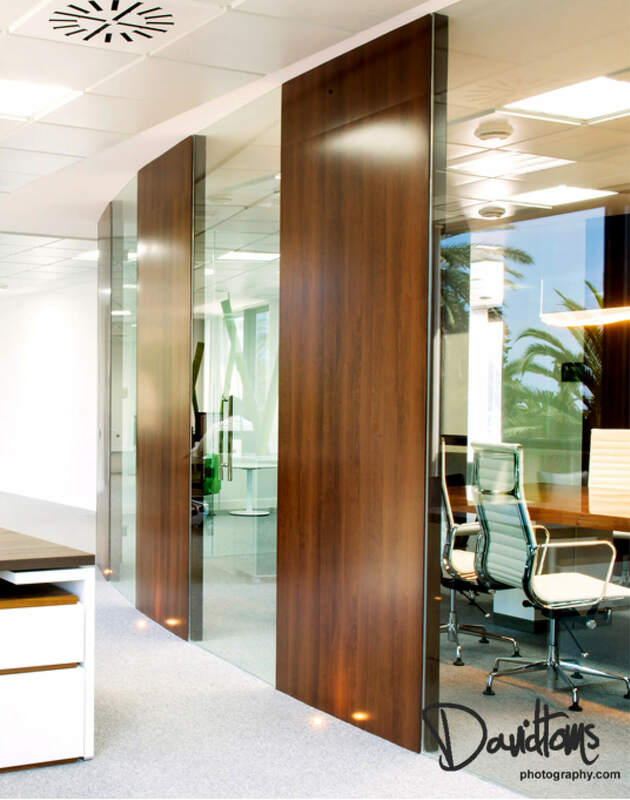 The 60m2 conference room is the core central feature, with polished walnut carpentry signifying quality and confidence in an established business. 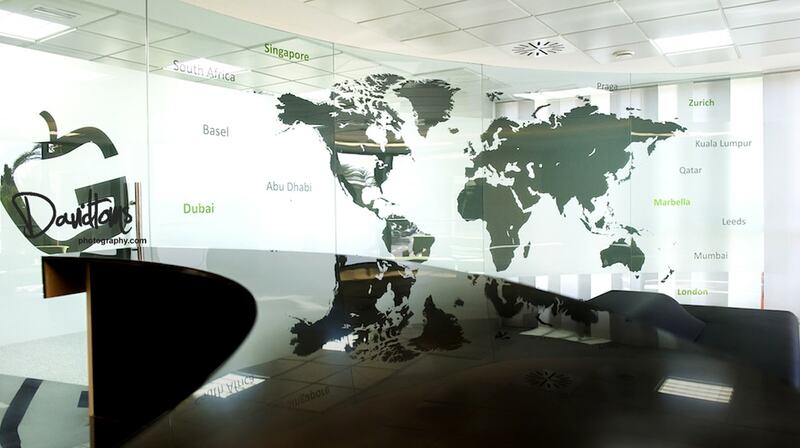 Curved glass partitions resonate with the branding by mimicking the natural form of the apple, and allow for a dynamic yet comfortable setting.